Despite suffering a 29-24 loss at the hands of the Aggies, the coaching staff recognized the following players for their efforts . Offense: Amari Cooper and Eddie Lacy. Cooper caught six passes for 136 yards, a game-high, including one touchdown of 54 yards that brought Alabama within five points of Texas A&M’s lead and another 50-yard catch in the fourth quarter. Lacy contributed 127 all-purpose yards: 92 of them on the ground on 16 carries and the other 35 on four receptions. Defense: C.J. Mosley and John Fulton. Mosley led the team with 14 tackles, 9 of them solo efforts, and added a sack that resulted in a loss of eight yards for the Aggies. He extended his lead on the team for total tackles this season, now standing at 83. Mosley was also an Honorable Mention for SEC Player of the Week. Fulton recorded a career-high four pass break-ups while adding five tackles, four of them solo. Special Teams: Cody Mandell. Mandell averaged 56.5 yards per punt on his four punts against the Aggies. Mandell’s strong performance, including two kicks of 60 yards, put him at No. 14 in the nation in punting with a season average of 44 yards per punt. Let’s start this week’s Twitter Thursday with something that no one can avoid in recent times: the Presidential election. 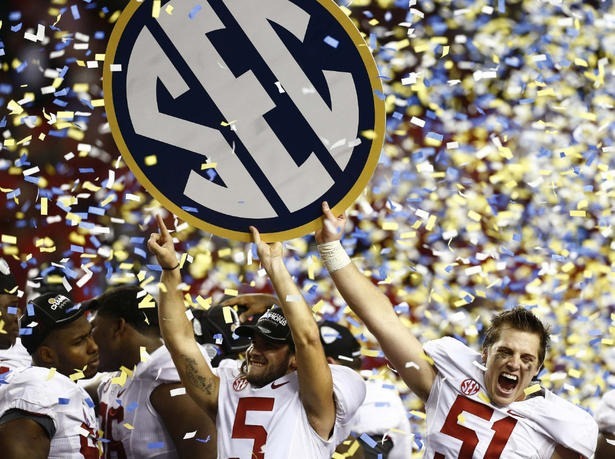 How about Coach Saban for president? Defensive back Vinnie Sunseri exposed the bad side of Twitter, also. It looks to be a parody account of Vinnie’s brother, Tino, who is the starting QB at Pitt. Here’s an example of what the parody account does. I asked this co-ed if she wanted to go to India Garden with me. She said no, so I ate her. I would’ve eaten her anyways. I’m a zombie QB. Wait … this is what the football team does in study hall? And now we go LIVE to a BREAKING NEWS report from Alabama wide receiver Amari Cooper. This lady in the mall got caught stealing lol and kept walking like she ain’t do nothing. Thanks for that report, Amari. Now we go to a story from one of our field reporters on math class with Vinnie Sunseri. The coaching staff poured on accolades for freshman wideout Amari Cooper, who earned Player of the Week honors in addition to SEC Freshman of the Week. Here’s the complete list from the coaching staff. Offense: AJ McCarron, Amari Cooper and Michael Williams. 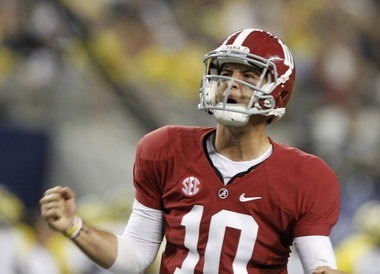 McCarron torched the Volunteer defense for 306 yards and four touchdowns on 17-22 passing. After the performance, McCarron is the most statistically efficient quarterback in the nation. 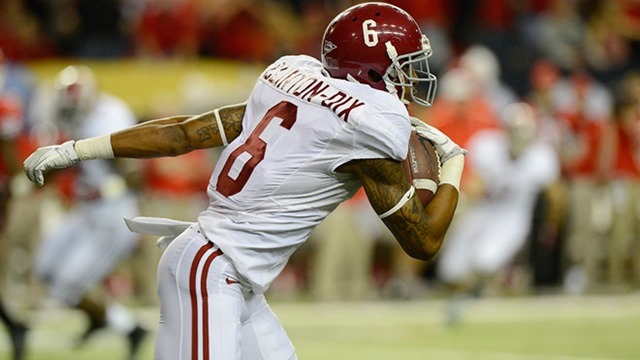 Cooper caught two of McCarron’s touchdown passes in his seven catch, 162-yard performance. Williams added two catches for six yards and one touchdown. Defense: Deion Belue, Dee Milliner and Vinnie Sunseri. Belue contributed a tackle and a pass break-up to go along with Milliner’s five tackles and one pass break-up. Sunseri, playing against his father Sal, had six tackles, one for a loss. The secondary held one of the SEC’s most prolific passing attacks to 282 total yards of offense. Special Teams: Nico Johnson, Cyrus Jones and T.J. Yeldon. Jones returned punts and kicks for 86 yards against the Volunteers as he took the reigns from Christion Jones. 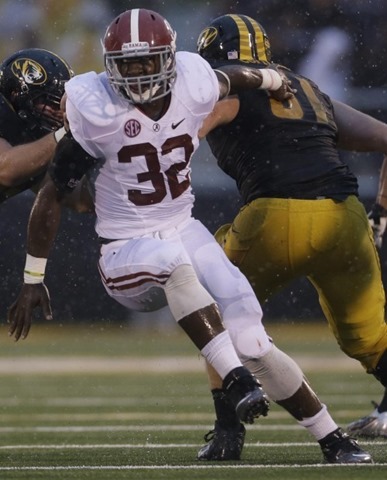 Yeldon plays on the kick return and punt return team in addition to rushing for 129 yards and two touchdowns. Johnson contributed to the punt and punt return teams and finished the game with four total tackles.